This book describes how ego and greed among our leaders are creating a huge disparity between the very rich and the people struggling to keep their heads above water. 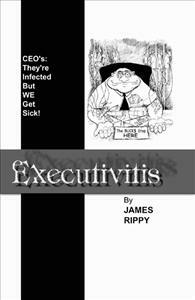 It describes a disease that permeates the leadership of far too many organizations. The many examples and articles used in the book serve to validate that the problem is real and serious. This disease left untreated will create a society where the people at the top of the pyramid will become very wealthy and the people at the lower levels will be left out. We must not let this happen! I read this book and was amazed that many issues described in 2000 have come to pass today. This author has simplified for all of us the true problems of today. I could not believe how accurately the description of ailing General Motors. Should be required reading for all young people in college. Great little book. What a predictor for GM. Shame that someone did not listen 9 years ago.